Terms and Conditions for the Supply of Goods through the website you are connected to the User Agreement for Dinny Hall Ltd (Dinny Hall Ltd and of www.dinnyhall.com each separately and together in this Agreement, “we”, “us” or “our”), registered address is 200 Westbourne Grove, London, W11 2HR - Company Registration number 07837199. If you require any information regarding shipping, refunds and returning purchases from www.dinnyhall.com, please refer to these Terms and Conditions as well as our Contact Page. On the Contact Page you will also find a customer registration form, advices and other general information on the services provided by us. If you require further assistance please note that you can contact the Dinny Hall Ltd Head Office via the Contact Page form, or by email at customercare@dinnyhall.com. In order to make purchases on the Site you will need to register. When you register with www.dinnyhall.com you are required to provide information about yourself that is true, accurate, current and complete in all respects. In particular, you must provide your real name, phone number, e-mail address and other requested information as indicated. Furthermore, you will be required to provide payment details that you represent and warrant are both valid and correct and you confirm that you are the person referred to in the Billing information provided. Once you have selected your choice and your order has been placed, you will receive an email from Dinny Hall Limited outlining the details of your order. This is only to acknowledge that we have received your order, NOT an acceptance or confirmation. Before your order can be finalised, Dinny Hall Limited must receive cleared funds or confirmation of the authorisation of the payment. Once payment has been received in full we will confirm that the order has been accepted by sending an Order Confirmation to your email address previously provided. The acceptance of your order brings into existence a legally binding contract between you and Dinny Hall Limited. Unless you cancel your order, acceptance of your order and completion of the contract between you and Dinny Hall Limited will be completed when you receive a confirmation email to confirm that the items have been dispatched. Payment must be arranged for using any method currently specified on the Website. We accept Visa, MasterCard, American Express, Maestro and PayPal. In the event that payment for an order is not received, you are not fully entitled to use your nominated credit, debit or charge card, or such card has insufficient funds to cover the cost of the order then Dinny Hall Limited may contact you allowing you to make payment in full within a specified time period by the same of other means. Alternatively, Dinny Hall Limited may at its sole discretion cancel your order. In the event of an order cancellation, Dinny Hall Limited will return any payment received from you within 30 days of receipt of such monies to your nominated account. You agree that in any event that Dinny Hall Limited has no liability to you for any loss, damage, costs, expenses or any other claims that you may incur. You agree to compensate Dinny Hall Limited in full against all costs and outgoings incurred by Dinny Hall Limited in obtaining payments from you in the event a failed payment occurs. The price of each product will be as stated on www.dinnyhall.com at the time the order is submitted. Prices shown on the Website are in British Pounds Sterling (GBP), Euros or US Dollars. Prices are inclusive of VAT at the applicable rate, unless you have selected an alternative country where VAT is not chargeable. Dinny Hall is offering Virtual Gift vouchers. Virtual Gift Cards will be e-mailed to the recipient once the full order has been processed and payment has been taken. A copy will also be sent to the sender as confirmation of dispatch. They are valid for 12 months from date of purchase. They can be redeemed against all products online only. Unfortunately, Virtual Gift vouchers cannot be redeemed in our Liberty concession, stockists and Dinny Hall brick and mortar stores. They are non-transferable and may not be returned or redeemed for cash. If your order total is less than the value of the Gift Card, the remaining balance will be credited to your account and will be redeemed against subsequent orders. You may check your Gift Card balance online via your My Account page. All remaining balances exceeding the value of your virtual gift credit must be paid by credit or debit card. If you return products you have purchased using a Gift Card, the remaining balance will be credited to your account as an online credit and will be redeemed against subsequent orders. You may check your online account credit balance online via your My Account page. In store collection is a free delivery-to-store service. -Orders will be delivered to your selected store within 3 working days after your order is placed. -You will receive an email when your order is ready to collect. -Please collect your order within 7 days. When collecting your order, you will need to present your order confirmation. If somebody is collecting the order on your behalf, they will need to present the order confirmation. If you have any queries regarding our in store collections please call us on +44 (0) 207 704 1543 or email customercare@dinnyhall.com. Special next Day Delivery orders need to be received by 1pm to enable same day dispatch, and is not available on Friday, Saturday and Sunday or Public bank holidays. Deliveries to Europe and Worldwide orders will be dispatched by Royal Mail International Signed For. A Courier service for shipping can be arranged for any order via our 'Contact Us' OR 'LiveChat'. We will be able to advice on costs and estimated delivery times. In the event you would like to return your online purchase you an do this free of charge but must be unworn and in their original package. Dinny Hall jewellery is guaranteed for 12 months, under normal conditions of wear and tear (see jewellery care). Gold Vermeil is 2 Microns or more of 22k yellow or rose gold. We endeavour to achieve a consistent colour of gold Vermeil; however, gold plating being a volatile and complex process there can be some variation of shade. The plating on gold Vermeil jewellery is guaranteed for 12 months, so if the piece requires re-plating it will be free of charge. After 12 months, please see our re-plating guide. Dinny Hall jewellery which combines silver, 14k gold and gemstones is generally rhodium plated, but we do not coat any silver with anti-tarnish varnish as we feel this destroys the natural beauty of sterling silver. All rhodium plated jewellery can be polished and re-plated, please contact us for details and charges. Dinny Hall offers one free polish and/or rhodium plate on all 18k gold rings. We repair Dinny Hall eternity rings, the first replacement stone is free of charge. Dinny Hall gold Vermeil jewellery is guaranteed for 12 months, during this period it will be re-plated free of charge, if required. Please contact us on +44 (0) 2077923913, email us on commissions@dinnyhall.co.uk or visit one of our stores for expert advice for our consultants. After 12 months, if your Dinny Hall jewellery needs to be repaired, please contact us to discuss the repair and charges. On rare occasions we are unable to repair customer jewellery, the main reasons being we no longer produce this item so no longer use this jewellery technique or carry spare components. If you have a complaint about us email customercare@dinnyhall.co.uk giving full details including date of purchase and order reference number where applicable and your full name and address and contact details. Nothing in these Terms will limit Dinny Hall Limited's liability for death or personal injury resulting from our negligence or that of our employees or agents. If you are a consumer (within the meaning of the Unfair Contract Terms Act 1977) the content of these Terms will not affect your statutory rights. Where Dinny Hall Limited provides any information in relation to the products supplied to it by a third party, Dinny Hall Limited does not give any warranty, guarantee as to its accuracy or otherwise and shall have no liability to the customer for any losses arising as a result thereof. In the event that Dinny Hall Limited is unable to or fails to deliver the products ordered within any time period specified, we will use reasonable endeavours to contact you in order to re-schedule the delivery time. Dinny Hall Limited does not warrant or guarantee the delivery date specified in the Order Confirmation and shall have no liability to you for any loss, damage, costs, expenses or other claims that you may incur as a result of late delivery. Dinny Hall Limited will not be in breach of contract as a result of any Force Majeure event. In any event, the liability of Dinny Hall Limited for any breach or the aggregate liability for any series of breaches under or in connection with these terms shall not exceed the value of the relevant order placed by you from time to time.  Dinny Hall Limited will hold no liability for loss of profit or for any indirect, special or consequential loss of damage, costs, expenses or other claims for compensation whatsoever arising out of or in connection with the supply or non-supply of the purchased items (including any delay in supplying the items) or their use or resale by you. Other than as set out in our returns section, the entire liability of Dinny Hall Limited arising out of any order for items from you will be limited to the total price of the items ordered by you. You must observe and comply with all applicable regulations and legislation, including all necessary customs, import or other permits to purchase items from www.dinnyhall.com. The importation or exportation of Dinny Hall Limited products may be prohibited by certain national laws. Dinny Hall Limited makes no representation and accepts no liability in respect of the import or export of the items you purchase. Dinny Hall Limited don’t use the information you provide on this site to learn any more about you other than what is required to fulfil your orders or offer you services such as news alerts or reminder services. Dinny Hall Limited does not store your credit card details, nor do we share your customer details with any third parties. Any personal data gathered by us in your use of this site will be recorded electronically and only used in accordance with the UK Data Protection Act 1998. Cookies: A cookie is a small file stored on your computer by a web site to give you a unique ID. Cookies help make it easier and faster for you to use our site because it can remember if you’ve visited the site, and they help us provide you with the information you need about your gift reminders or account details – when and where you need it. A cookie generated by our site contains no information about you. It contains only a numeric ID that, for example, allows you to retrieve your account details or shopping list. The cookie lets you enter your email and password so you don’t have to enter those details again, or it lets you save products to a wish list if available. Email usage. We use your email address as a convenient way to contact you about your order or any reminder service you have. From time to time, we may update you on relevant Dinny Hall Limited news or offers, but only with your permission. We will not pass on your details on to any other third parties. We do not store credit card details not do we share customer details with any 3rd parties. All notices given by you to us must be given to us at customercare@dinnyhall.com. We may give notice to you at either the email or postal address you provide to us when placing an order on the Site. Notice will be deemed received and properly served immediately when posted on our site, 24 hours after an email is sent, or three days after the date of posting of any letter. In proving the service of any notice, it will be sufficient to prove, in the case of a letter, that such letter was properly addressed, stamped and placed in the post and, in the case of an email that such email was sent to the specified email address of the addressee. Your use of this site and any contract between you and Dinny Hall for the sale of products shall be governed by and shall be construed in accordance with the laws of England and Wales and shall be subject to the non-exclusive jurisdiction of the Courts of England and Wales. If any provision of these terms and conditions shall be unlawful, void or for any reason unenforceable, then that provision shall be deemed severable from these terms and conditions and shall not affect the validity or enforceability of any remaining provisions. If we fail to enforce a right under these terms and conditions, that failure will not prevent us from enforcing other rights, or the same type of right on a later occasion. All materials, including images, illustrations, designs, site layout, photographs, written and other text or script that are part of this site together with all software compilations, underlying source code and software in the site are protected by copyright, design right, and/or other worldwide intellectual property rights and are owned or controlled by or license to Dinny Hall. The contents of the site as a whole are intended solely for personal, non-commercial use. You may download or make a single copy of the contents and other downloadable materials displayed on the site for the sole purpose of placing an order with Dinny Hall or using the site as a shopping resource. No right, title or interest in any downloaded materials or software is transferred to you as a result of any such downloading or copying. You may not reproduce (except as noted above, publish, transmit, distribute, display, modify, create derivative works from, sell or participate in any sale of, or exploit in any way, in whole or part, any of the contents, the site, or any related software without our express prior written permission. The entire content of the Website, including all copyright, trademarks and other intellectual property rights it contains, including the use of the name Dinny Hall Limited is the sole property of Dinny Hall Limited or our licensors. You are permitted to copy, transmit and to use such material only for the purpose of ordering products from the Website, but you not are entitled to copy, reproduce, transmit, display in public, create derivative works from or otherwise commercially exploit such material. All intellectual property rights in the Products (subject to the rights of any third party) belong to Dinny Hall Limited. You warrant that all customer material provided to us will not be defamatory or infringe the copyright or other rights of any third party, and you shall compensate Dinny Hall Limited against any loss, damages, costs, expenses or other claims arising out of any such infringement.